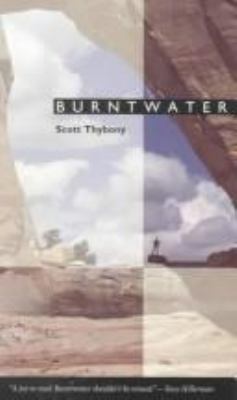 Scott Thybony writes about his journey around the Four Corners in search of a place that was once on a map: Burntwater. Within the story of that journey he tells the story of his other journeys, his search for the Hopi Sun Chief, his visit to a kiva during a kachina dance, his Good Friday pilgrimage from Santa Fe to Chimayo, his search for the spot in the Grand Canyon where his brother had died when the helicopter he was piloting was hit by a small plane. Like the desert landscape, Burntwater deals with the elemental facts: love and suffering and survival and death. The desert is spirit haunted and is heartbreakingly beautiful – the beauty of the desert, like the beauty of life, will break your heart. Beauty is not for the weak; the most beautiful thing in the world is the Cross, the utter-self emptying of the Creator, who tasted death for all his creatures. I don’t know the status of Thybony’s beliefs, but he senses that his life is being shaped so that it manifests hozho, the Navaho concept of beauty, but a beauty that incorporates suffering and death. I would call it Providence or the Holy Spirit, the sacred fire from which all reality springs and to which all returns. But the name is less important than the reality. 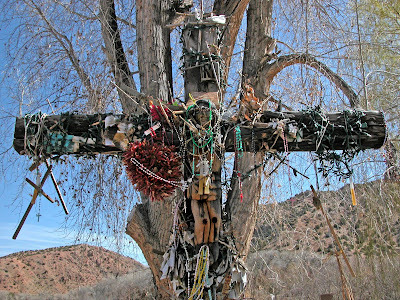 The Hopi know that life is like this, the Navajo know it, the Penitentes know it – but so much of modern Christianity is sentimental and vacuous and superficial. If you still need reading for Passion Week, I would recommend Burntwater. Committed Christians in a Christendom that has many competing Christian bodies have to do something they really should not have to do: decide which Church they should belong to. edited by Robert L. Plummer (Zondervan, 2012) recounts faith journeys among the various Christian traditions: Evangelicalism, Orthodoxy, Roman Catholicism, and Anglicanism. A convert explains why he left, for example, the Baptist Church for Orthodoxy. A Baptist responds, and then the convert gets to respond again. It is a good format. All churches have their severe problems. I have documented some of Catholicism’s worst problems, so I have no illusions about the Roman Catholic Church. Evangelicalism, Orthodoxy, and Anglicanism all have severe problems; some are historical accidents, some may by intrinsic to the traditions. For my part, it has always been clear to me that the Roman Catholic Church has all the elements of the complete Church as described in the New Testament, including a central authority, the papacy, to strengthen the brethren and to foster unity. Whether they are in the right proportion or operate in the right manner in another question entirely. In reading the rehearsal of the Catholic-Protestant arguments on justification in this book, I keep sensing that nominalist, voluntarist assumptions have made the controversy insoluble. God is the cause of all things, the creator of all things, including all actions. Every human action is created by God, or it would not exist. But a human action is both free and caused (a concept difficult for modern Westerners to understand – we have a nominalist, voluntarist conception of freedom in the air we breathe). God causes some things by acting through free agents. Therefore the actions are both the action of God and the action of the agent. This is true in the orders of nature and of grace. When God acts in us, God acts in us. That is, out just actions are truly His, but they are also truly ours. Since they are truly His, they are saving, since they are truly ours, they are worthy of blame or praise, that is, they are meritorious. Paul was confident that the just God would give him the crown he had merited. Chrysostom explains this in the context of friendship. Friendship finds or makes friends equal. A friend when he discovers that his friend needs something, gives it to him, but in a way that makes the recipient seem to be doing a favor to the giver. As to the Eucharist, the best explanations I have ever read was by a member of the Eastern Church. He explained that the same thing happens invisibly at the Eucharist as happened when Jesus was on earth. When Jesus ate bread, it was transformed into his body. In the Eucharistic banquet, the same thing happens invisibly. Although we see bread, it has truly become Jesus. This explanation avoids terminology that sounds foreign to the New Testament (transubstantiation) and better preserves the whole context of the Heavenly Banquet at which God and man are sat down. The Evangelical in this book also takes some swipes at the supposed unity of Roman Catholicism by comparing it to Hinduism. If he knew more about popular Catholicism, he would have even more ammunition. But the imperfect assimilation to Christianity in many Catholic cultures (an endless source of frustration to the clergy) has two sides. Less so than Protestantism, the Catholic Church (for all the charges of cultural genocide) has tried to transform rather than totally destroy the cultures it encounters, so that the riches of all nations will serve the Lord. But the result is often an odd mixture, sometimes charming, sometimes appalling. In Baltimore, parishes were closed one or two at a time, and I noticed little outcry. Ethnic parishes had been built within a block or two of each other, and the neighborhoods had become almost entirely back, with very few Catholics. Other dioceses held onto a structure that was built for a far larger and more ethnic Catholic population, and with the recent financial crunch have had to close down parishes wholesale. In Cleveland the enormous decline in both the Catholic and overall population has necessitated the closing of numerous parishes with the usual outcry – although is hard to see how it could have been avoided. One parish responded by setting up its own congregation independent of the bishop Tom Roberts has an article, “A Community of a Different Sort,” in the National Catholic Reporter (now available here) about this situation. The Rev. Robert Marrone had revived St. Peter’s, an inner city parish (for some of its problems see Marrone’s difficult relationship with street people) by attracting white suburbanites, but Bishop Lennon decided that it had to be closed as part of the diocesan reorganization. 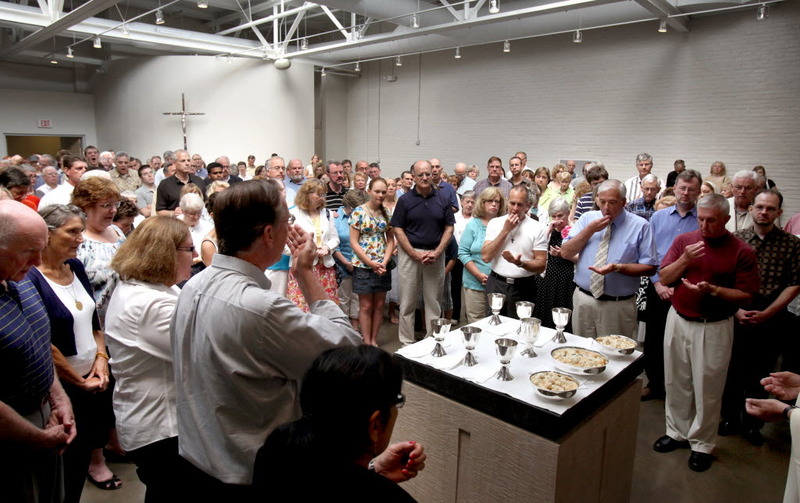 The members of the parish rented their own space in an industrial and have continued to meet as the Community of St. Peter with Marrone, their former pastor, who has been threatened with unspecified ecclesiastical penalties. The parish seems to be in schism – it is conducting unauthorized liturgies with the former pastor, who is not assigned to it and is listed as being on leave from the active ministry. The present Catholic system of episcopal governance is not God-given in all its details, but on the whole many problems in the Church have been the result of bishops (and popes) failing to exercise the oversight that is the essence of their office, not in exercising too much oversight. The Community of St. Peter has set itself up as an independent Catholic congregation outside the structure of the diocese. Marrone has not been suspended or excommunicated – not yet, but that seems inevitable. Marrone claims that the split was not based on any of the controversies in the Church, but on the desire of the congregation to stay together. The congregation has set itself up as a legal entity and plans to hire its own clergy. Protestant denominations that are congregational in polity also have a poor record of dealing with sensitive problems like sexual abuse. The Southern Baptists point out that the denomination has no authority over clergy – each congregation calls its pastor and no one outside the congregation has any say over the qualifications, opinions or behavior of the pastor. Congregations who have suffered from manipulative, sexually abusive pastors sometimes look wistfully at denominations with an episcopal structure which could step in and deal with the problem. I do not see why the Community of St. Peter does not join the Episcopal Church. That polity allows the congregation more autonomy in running its affairs and choosing its pastors than the Roman Catholic system does, but also provides episcopal oversight to deal with problems that congregations cannot deal with internally. A congregation can also accept or reject as much Catholicism as its feels comfortable with. The Episcopalian Church has a good pension system, which an individual congregation would have trouble setting up. Do the parishioners of the Community of St. Peter not think that the Episcopal Church is as much a church as the Roman Catholic Church? Do they have a lingering suspicion that Episcopalian priests are not “validly” ordained? Why do they insist in being Catholic but not being in communion (or at least in impaired communion) with the local Roman Catholic bishop, or, for that matter, with any bishop of any denomination? If they reject the episcopal structure entirely, in what sense do they differ from Congregationalists? If they set up their own episcopal structure independent of the Roman Catholic Church, in what sense are they not in schism? I suspect that, in their anger at Lennon, they have not thought these matters through, and they will sooner or later discover that it is hard to remain Catholic when one is completely detached from the structures of Catholicism. It is hard to be a Catholic with the bishops that have been inflicted on us, but it is almost impossible to be a Catholic without a bishop. in Benedict’s case he is not addressing the Catholic Church’s flaws in this area. To illustrate my point; scholars have now come to the conclusion that Juan Diego who saw “Our Lady of Guadalupe” is a fictional person. If he is fiction, what does that say about the entire visitation? How does the church respond? They elevate the visitation to a solemnity. I submit that this is not a “reasonable” thing to do. By promulgating these events, the church plays with fire. To so completely disregard fact, they leave the faithful to wonder what other teachings are based in reality and what are based on devotional whims. In this case, the end does not justify the means. Our faith, in its pure simplicity, has a beauty and a truth that gets lost in all this other “STUFF.” We need people who will follow the teachings of Jesus and not just be dazzled by hocus pocus. And lest anyone get the wrong idea, I am not referring to our ritual and our liturgy or our virtue, habit and practice. Our Catholic identity has to be based on truth or we just wind up looking unreasonable. Attacking the reality of the apparition of Nuestra Señora de Guadeloupe is no way to connect to the Hispanics who will soon be the majority of Catholics in the United States. But it would be dishonest for the Church to proclaim an event that never happened. I wonder who these skeptical and unnamed “scholars” are. I have always thought that the tilma is hard to explain as a painting, and it suggests strongly that something miraculous occurred.